I also work for the Internet now. 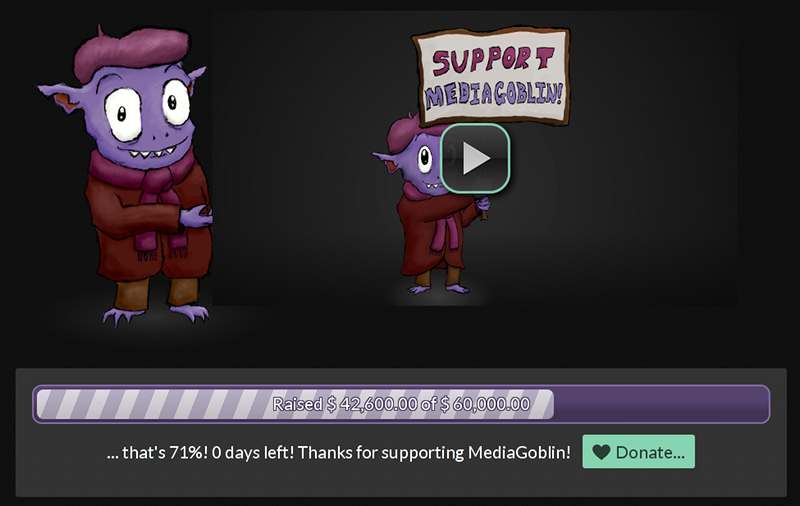 You may have read it on the MediaGoblin blog already, but the MediaGoblin crowdfunding campaign was a huge success! I have more I want to say on this subject, but for now I just wanted to echo Joey Hess's blogpost of similar name. And it's a solid fact now: from now till the end of 2013 I've basically been hired by people who believe in all of the ideas we were selling in the MediaGoblin campaign: that the internet needs decentralized and federated media publishing, that MediaGoblin is the platform to do it, and that we're a really fun project that can make this all happen. The campaign has been an interesting experience, and I certainly intend to write more about it. I've never done everything else that used all of my skills so thoroughly... but I guess what I mean by that is coming up in another post very shortly. For now, I'm just basking in the awesome that we sold the world on a dream and I've essentially been hired by that same world to build it. How often do people get to spec out their dreams and live them?